So Much Plastic – How Did We Get Here? Some of you may know that I have You Tube channel where I talk about plastics industry issues, really focusing on recycling. My goal is to connect with the true consumers of plastic; the general public. I firmly believe that with some knowledge, better environmental stewardship and recycling practices can be attained. If you are interested in my channel, follow the link on my website. For November, I recorded a three-part series discussing “how we got here” with our seemingly endless dependence on plastics. Video topics included food/beverage packaging, plastic bags and plastic in the automotive sector. I have always maintained that plastics are a valuable resource that we need to use with respect; respect for their initial use and respect for their proper handling and recycling, post-use. We need to ensure we have the industrial mechanisms in place to sort and recycle and the industrial base to purchase the recycled plastics for production purposes. When it comes to plastic bags, I’m slightly less sympathetic; while still painfully efficient, the plastic bag offers a very limited lifespan before being re-purposed (typically as a household garbage bag of sorts). While I am in favour of getting multi uses out of a plastic product, with bags, we might only see two to three uses before the bag breaks or ends up in landfill. This is one instance where the reusable bag (made from woven plastic or cloth), that last for potentially years, is the better alternative. For garbage bags at home, I prefer to use PLA-based bags that do breakdown much quicker than conventional polyethylene bags. For a single use product, why not choose the one that best fits the application! Lastly, when it comes to the auto industry, I think the use of plastics is a real success story! Cost reductions, weight savings, parts count reduction, complex geometries – all possible with plastics. As we transition to electric cars (maybe hydrogen eventually…who knows? 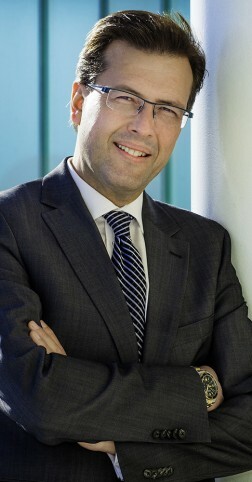 ), plastics will continue to play a key role. While mechanically simpler, electric cars carry a very heavy battery pack on board. Plastics help to keep overall vehicle weight in check. And, let’s not forget that the auto industry practically invented recycling…the junk yard! Think about your consumption of single-use plastics, recycle everything you can and, as always, get out there and protect your playground! Today I posted a video to my Simcoe Plastics Facebook page where I talk about recycling and why it’s important to me. Please follow along and let’s have a dialogue about recycling! Simcoe Plastics is excited to announce its newest line from General Polymers Thermoplastic Materials! From the Plastics Group of America, we now have PP and TPO product lines in Canada! These products are prime certified and of incredible quality. Who is the Plastics Group of America? 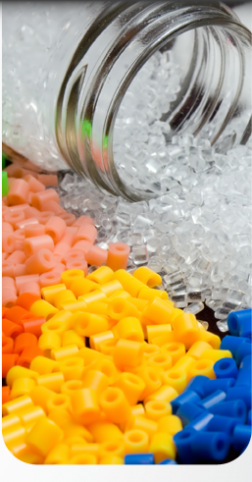 The Plastics Group of America (TPG) manufactures, compounds, and distributes a full line of thermoplastics to meet the needs of molding, extrusion and blow-molding processors. With over 250,000 sq. feet of manufacturing space, The Plastics Group has been custom compounding Polifil® polypropylene-based reinforced resins for over 40 years! They are primarily an asset-based manufacturer, with the ability of custom compounding resins to the physical, mechanical, and thermal specifications your application requires. 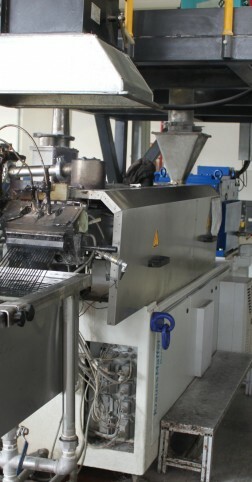 The Plastics Group offers extraordinary quality control over its process and products. The Plastic Group has a comprehensive quality program in place to guarantee product integrity. As an ISO 9001 certified company with an ISO-IEC 17025 certified laboratory. The compounding facility features a quality control laboratory well-equipped with state of the art test and diagnostic equipment to certify and authenticate a number of material properties. Our laboratory is run by highly skilled personnel who adhere to firm quality control measures to ensure our products meet your specifications. Test results are tracked and monitored for all Polifil® products manufactured, and material Certifications are issued with every order. This certifies Lot-to-Lot consistency is followed for all products produced. TPG’s Polifil® GFPPCC-WS series compounds are Water Safe homopolymer polypropylenes reinforced with chemically coupled glass fibers and are certified to NSF/ANSI Standard 61. They have been extended to include a broader range of glass and are now available in white, black and natural colors. Certification to NSF/ANSI 61 guarantees that your product meets the potable water requirements for the U.S. and Canada, and it can often meet or fulfill the testing requirements for many other countries as well. Market leaders strive to attain NSF certification as a mark of distinction that provides their customers with assurance that their product is safe for use in drinking water. Customer Centricity Drives TPG’s Improvements TPG’s success is directly linked to our customers and as such, it is TPG’s goal to provide for their current and future needs. Often times, it is a customer inquiry or request which will promote improvements to meet the customer’s new application or submission. Other times, when TPG is actively working on continued improvement, systems and processes currently in place are evaluated with an eye on improvement, developing optimization, and increasing quality for our customers. We look forward to providing your Polifil® product needs in the near future! It’s with great pleasure that Simcoe Plastics would like to introduce you to the newest product line to join the General Polymers Thermoplastic Materials fleet of options for your company. ELIX Polymers is a leading manufacturer of ABS (Acrylonitrile-Butadiene-Styrene), PC/ABS resins and derivatives in Europe. Operating from its head office in Tarragona, Spain, the company is a specialist provider of tailormade solutions for superiority in thermoplastics applications. With a 40-year track record, ELIX Polymers is an expert in ABS polymers and it has the resources, the proficiency and the experience to create value for its customers through highly individual solutions. 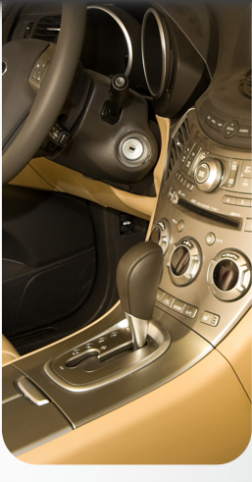 ELIX Polymers has strong technical expertise in product design and color development and offers a range of high performance products that meet the rigorous requirements of the Automotive, Healthcare, Appliances, Electrical and Electronic and other industries. In addition, the company has ISO 9001, ISO 14001 and ISO 50001 certifications and fully underwrites the chemical industry’s responsibilities. ELIX Polymers’ key factors are continuous improvement, innovation, state-of-the-art technology, a high level of experience in the sales and technical marketing departments, as well as their team of professionals who make up the human capital of ELIX Polymers. We look forward to working with you on your demanding ABS-based applications! Desktop Moulding Machines? You NEED to learn about this versatile tool…. Simcoe Plastics Ltd is honoured to be the sole Canadian distributor of APSX-PIM desktop injection moulding machines (DMIMM)! This product delivers on many levels including: low-cost, desktop footprint, horizontal format, electric, full-automatic plastic injection (patent pending). Seeing DTIMM as a viable market niche, slotting perfectly between the one-off flexibility of 3D printing and the large volume production of typical full scale injection moulding, DTIMM affords low-cost prototyping, small volume runs of small parts and economic accessibility of mass production to low-volume applications. The APSX-PIM Automatic desktop injection molding machine has a small footprint of 4 ft X 1 ft. 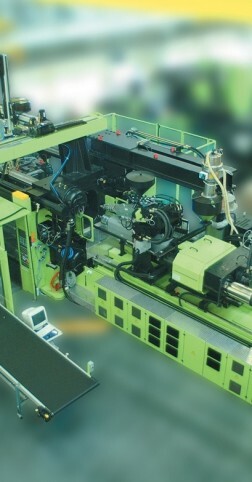 The machine boasts all electric (115VAC), full automatic control of molding actions, pressure, time and temperatures. 1″ steel bar construction. The accuracy with the ball screws and sensors is impeccable. APSX LLC developed the APSX-PIM as a great alternative to the costly overpowered large injection molding machines that are typically over designed for R&D, Prototyping, Product Design, Education, Hobby and other low-volume production environments. The desktop injection machine has automation and accuracy to do real work, while still retaining all the significant features that make an injection machine attractive in the first place: small footprint, repeatability, and minimal input power. APSX-PIM solution is usually more cost-effective than typical conventional molds alone. You can do-it-yourself with a low-risk and low-cost option, instead of getting the prototypes developed by 3rd party plastic injection molders. It’s made in Cincinnati, Ohio. The design of the machine is solid with a small footprint, making it easy for use and storage. APSX-PIM isn’t your ordinary manual desktop injection machine. 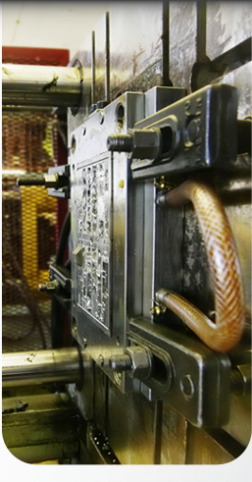 Instead of manual injection molding actions, it’s built with automated clamping, injection and eject features. Each APSX-PIM desktop injection machine employs a strong structure with steel bars, precisely designed to provide maximum mold size in a footprint that’s not much bigger than a traditional manual desktop injection press. Each APSX-PIM features anodized hard aluminum blocks for a robust structure and the best scratch protection by providing greater wear resistance for a lifetime of use. All APSX-PIM are also equipped with high precision ballscrews for accuracy and rigidity of the machine. The APSX-PIM features a 6000LBS rated spring powered by a precise but low–maintenance chain and ballscrew system driven by an electric motor. This mechanism delivers infinite injection speed control, resulting in an injection system that is both powerful and precise at micro level. That is much more under controlled and repeatable than the underpowered injection handles on typical desktop injection presses. Along with that, state-of-the-art touchless distance sensors and nozzle valve control system offers the APSX-PIM injection plunger exceptional flow control and mold flow profile characteristics unlike any other desktop injection machines. APSX-PIM machines feature a gearbox and ballscrew combo system for clamping mechanism. This isn’t an arbitrary design, but also can be a standard for clamping systems by other injection machines in the future. This means the APSX-PIM can be used in combination with other gearboxes with different gear ratios to adjust the clamping force and clamping speed, expanding tooling choices beyond the default specifications. Direct-drive motion for hopper feeder mechanism is provided by precision electric motor coupled with specially designed mini screw to feed the heat barrel with plastic pellets of all kinds. This system is ideal for a repeatable and accurate material control since the system decides how much plastic is required by calculating how much is used in the previous cycles. These make the APSX-PIM a perfect choice as a desktop injection machine! As with all APSX products, APSX-PIM desktop injection machines are backed with the technical support team to ensure your satisfaction. Representing APSX LLC allows us to tap into a new segment of the plastics industry in Canada, while leveraging our knowledge and resin supply capabilities. APSX LLC is the creation of Burak Cevik and Kubi Kara (Partners owning the APSX WideBand brand of automotive aftermarket components). The APSX-PIM was the result of APSX WideBand’s own production requirements, so the proof of concept and business case is solid and proven. Due to popular demand, General Polymers Thermoplastic Materials is back in North America and is available for your Resin Distribution needs! General Polymers was the name of a firm started by Dan McGuire and Tom Mueller in 1973 in Troy, Mich. GP grew into one of the region’s largest resin distributors before being acquired by Ashland Inc. in 1983. 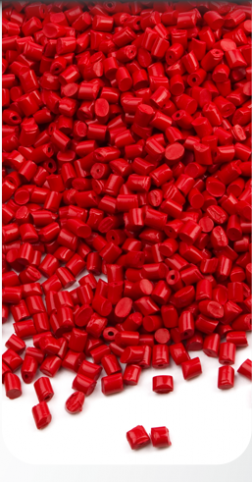 General Polymers Thermoplastic Materials will provide 50 to 500 pounds to a half-truck or a truck; subject to supply partner minimum orders. Following the example of the original General Polymers and to honour its history, our emphasis is on service and relationships. The new GPTM’s initial plans were to start with commercial coverage in the Midwest, but that’s quickly expanded into other areas of the United States and Canada. GPTM’s coverage area is now from Ontario to Georgia and from the East Coast to Kansas City, with some accounts on the West Coast as well. General Polymers Thermoplastic Materials’ mantra is “customer driven – supplier focused”. Ensuring they provide the best products for all of your plastic distribution and technical resource requirements. General Polymers Thermoplastic Materials opened for business Oct. 15, 2016. At this time demand was high enough from both prime thermoplastic suppliers and small-to-medium sized users for improved supply, access, and support for engineering resin distribution. GPTM offers support to small-to-medium sized processors with a focus on prime, certifiable grades of engineering resins and compounds from a current total of seven suppliers. We are honouring the relationships with resin producers with a focus on small-to-medium sized processors as we believe it is important in the industry. We sell Acrylic, Nylon, Polyester, Polypropylene, PPS, Speciality compounds, Thermoplastic Olefin, Long Glass Compounds and Customer Colour & Blending, just to give you a snapshot of the incredible products available. We look forward to servicing you for all of your resin product needs! Visit www.simcoeplastics.com and www.gp-materials.com to learn more.